Photography and my lifelong obsession with natural history have always gone hand in hand. When I was a teenager I saved up to buy a Pentax SP 1000. It was pretty high tech at the time. Want a quick shot of the bird that just landed in front of me? No problem. Just let me unscrew my standard lens, screw in my telephoto lens, flip up the light meter switch on the left side, adjust the aperture with my left hand while simultaneously adjusting the shutter speed with my right hand to get the needle into the middle, focus manually and…oops! Forgot to wind the film. This has all come back to me because last year I gave that camera to my teenage daughter who is the same age I was when I bought it 40 years ago. She loves it! How can a machine last 40 years, while our phones and computers are out of date in 5? Oh, and apparently, film never went away, it was just waiting to be rediscovered by a new generation of teenagers who blog, Facebook, and Instagram digital versions of their celluloid images. In the meantime, after many years enjoying the compact convenience of Canon Powershots and their physics-defying optical zooms, I decided to take the plunge and go for a digital SLR. I was inspired by the amazing photography of some of my fellow birders, such as Melissa Hafting, Peter Candido, Liron Gertsman, and Paul Steeves. So I asked them and others what equipment they recommended, and they all said the same thing: Canon 7D Mark II with a 100-400 lens. Since I’m not very techy, despite all the time I spend on my laptop, that was all I needed to hear. The last step was to learn how to use Lightroom for processing, which is a learning curve that I’m still climbing, thanks to advice from Melissa. Many people have remarked on how digital photography is changing birding, and that’s certainly true for me. Sometimes my camera doubles as my scope. And I find myself spending more time looking at common species than I used to, through my lens instead of my binoculars. There has also been a growing incentive to photograph birds for uploading to eBird and iNaturalist. I love the “Illustrated Checklist” feature of eBird hotspots, where you can see all of the photos that were taken of each species from individual locations. Now when I go to my favourite birding patches, like DeBoville Slough beside the Pitt River in Coquitlam, I find myself not just trying to get new species for my local list, but also trying to get new photos for that hotspot. You can see the results here. As for iNaturalist, I love it! Every photo I take of any species of plant or animal now gets drag-and-dropped into iNat. That includes all of my bird photos. Anyone with a phone or GPS-enabled camera can do the same. iNat is helping me up my game identifying a wide variety of taxa, while providing a repository for records that is being used increasingly to inform everything from the ranges of species to their conservation status. But back to some bird pics. I post photos on Flickr here and my iNaturalist home page is here. 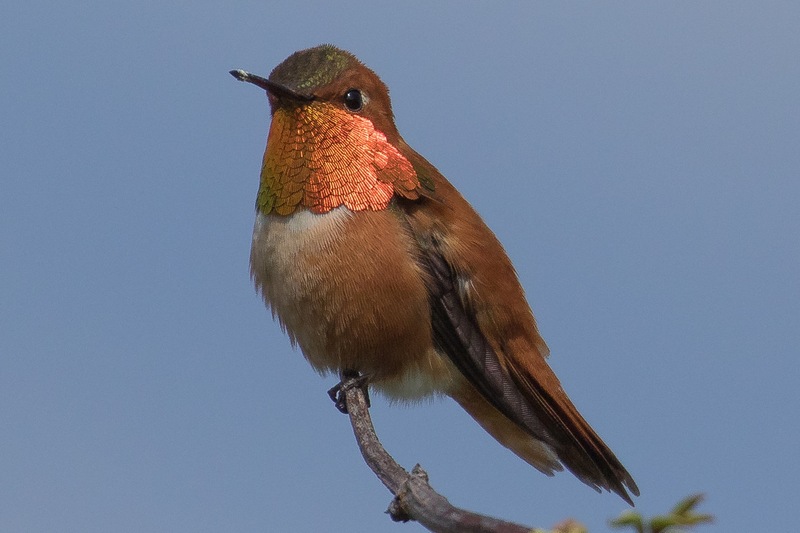 I’ve generally had better luck photographing Rufous Hummingbirds than Anna’s, for some reason. This bird sat still on a beautiful spring day in April 2016 at DeBoville Slough. If this photo were sharp enough, maybe you could identify the pollen on its bill? This summer I took part in the Hakai Institute’s 6-day BioBlitz on Calvert Island, off BC’s central coast. I’ve been doing a big research project out of there, surveying flora and fauna of 100 islands. So when my friend and colleague Brian Starzomski from the University of Victoria invited me to the BioBlitz, I jumped at the chance. Brian assembled a team of 22 people specializing in everything from spiders to lichens to birds. As with most BioBlitzes, the objective was to photograph and identify as many species of everything we could, for uploading to iNaturalist. I was mostly focused on plants and moths, while being under strict orders to photo-document all the avian species I could. 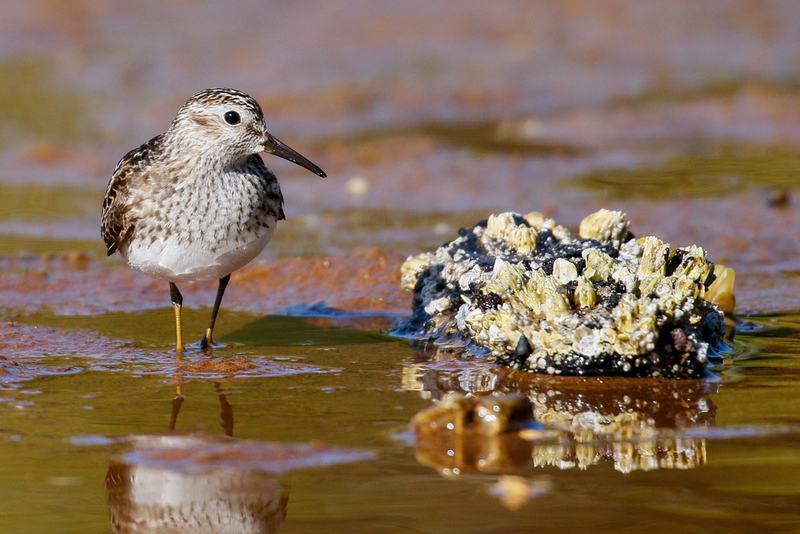 One day, while walking across a mudflat I encountered this Least Sandpiper, the first for the blitz. My only objective was to try to get an identifiable photo for the list, no matter how distant or blurry. I think I succeeded. Occasionally, when I’m looking through my lens, I think to myself: “This might be good”. That was my thought when I took this photograph of a pair of Purple Martins standing on a piling in the Pitt River at DeBoville Slough in the spring of 2018. 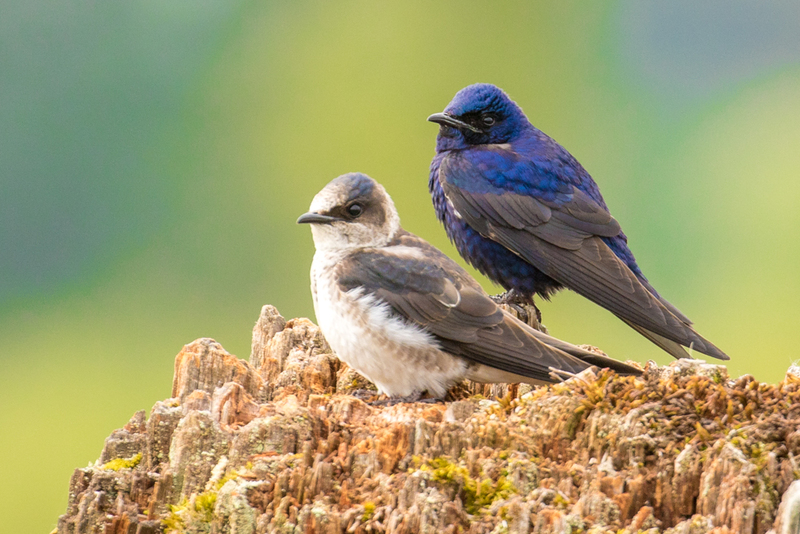 The resurgence of Purple Martins in southwestern BC is one of the great comeback stories of local conservation. 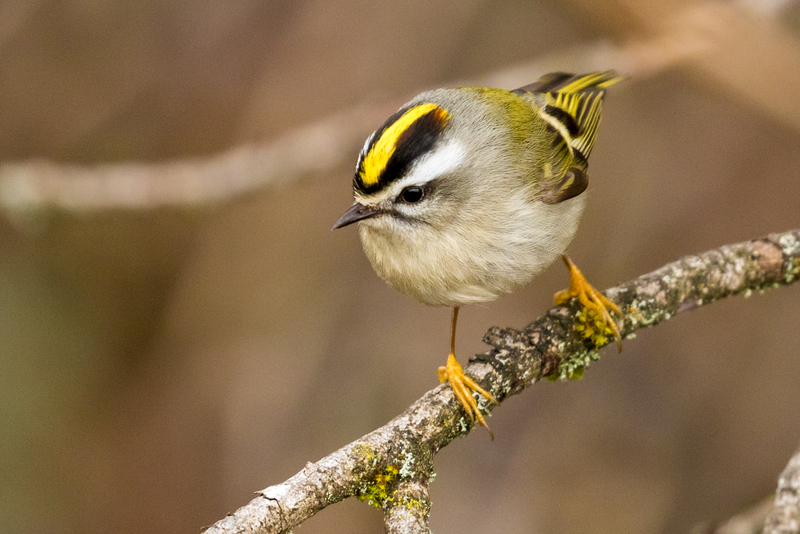 This is thanks to the many volunteers who have put up nest boxes for them, especially the legendary Kiyoshi Takahashi, a stalwart member of the Burke Mountain Naturalists Club in Coquitlam. This pair of birds was certainly cooperative, and they were still there when I left. I take pride in being able to walk away from birds, having not pushed them to their limits, but simply backing off and leaving them to it. If the photo doesn’t work, it’s not because I didn’t have time to get it right! 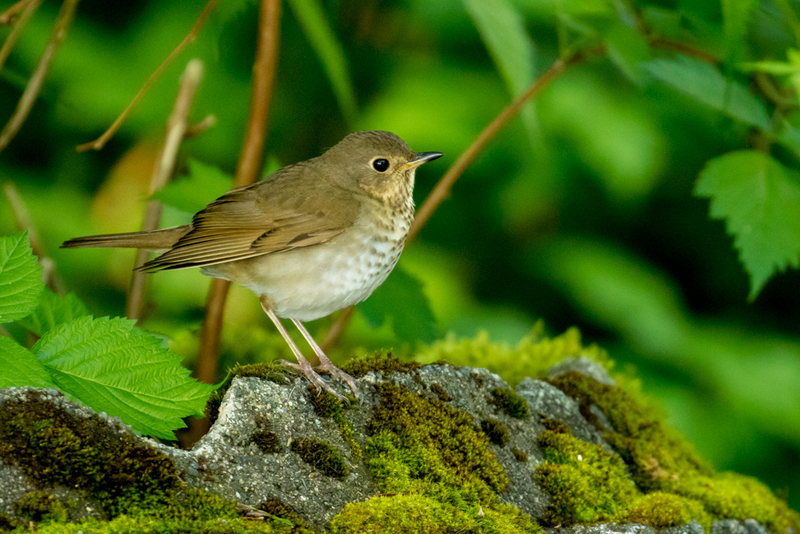 What’s with Swainson’s Thrushes? Their spring migration to BC from their South American wintering grounds is ridiculously late, especially compared to their Hermit Thrush cousins, some of which don’t even bother going south. Even the flycatchers get here before they do. And when they do finally show up they act like they own the place, with their evening questioning burps and ascending flutes. I snapped this photo at Shoreline Park in Port Moody in May 2018. Apparently this one missed the memo about freaking out when anything or anyone is nearby. How many shots have I taken of THE BIRD THAT NEVER STOPS? Delete, delete, delete. I took this photo in early April 2018 at DeBoville Slough. This is another routine shot of a common species. If I hadn’t wanted to spice up my eBird checklist, I wouldn’t have even bothered. 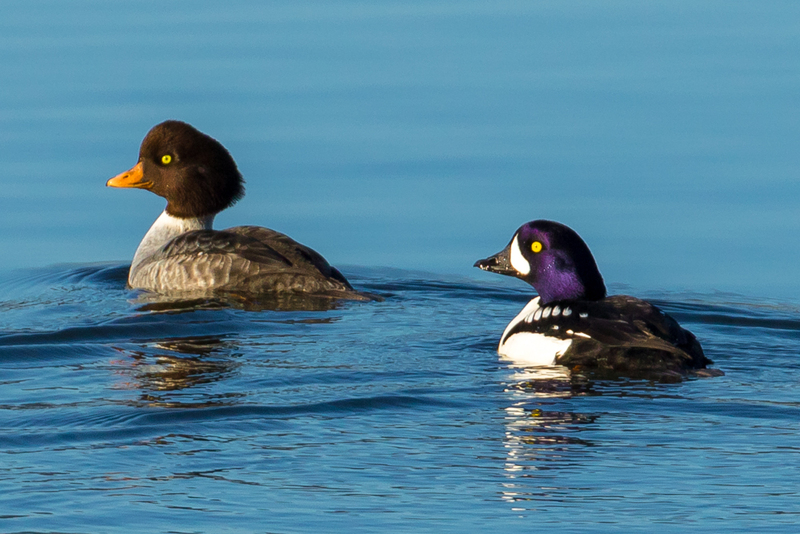 On a crisp December day in 2017 I was standing out on the old mill site at Port Moody’s Shoreline Park, when I saw this pair of birds dive. I surprised them when they surfaced, and you can see them eyeing me up as they steamed away. This is another bird from my patch, DeBoville Slough in Coquitlam. Just another birding day, walking along the Pitt River dike, with my camera on my shoulder. 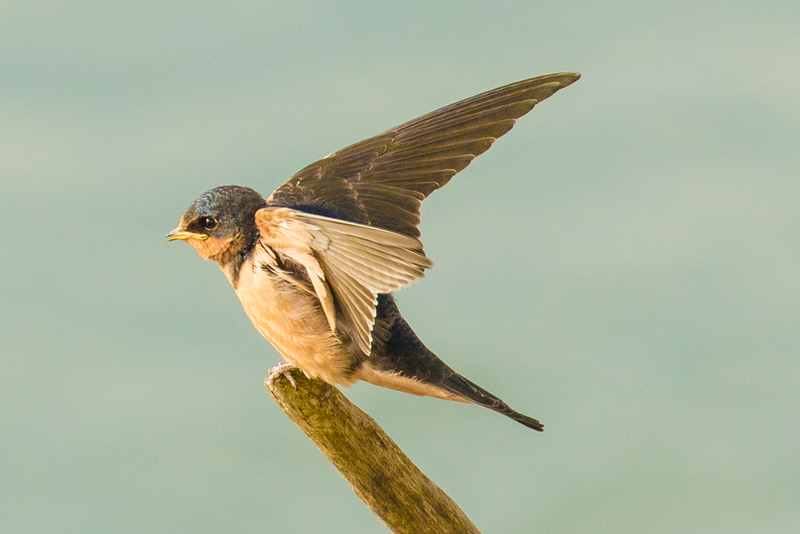 Barn Swallow parents like to park the kids on branches like this, returning now and then to check in on them. This juvenile bird seemed to be enjoying the early morning light in August 2017 as it hung out on a branch over the river. For some reason, this may be my favourite bird photo because it should never have happened. Who in their right mind pulls out an expensive camera in the pouring rain, with low light, trying to snap a warbler in perpetual motion? And what was I doing there anyway? I blame Rob Butler. He had this crazy idea last year of trying to see 150 species of birds in a restricted area, by Canada’s 150thbirthday. So I accepted the challenge, and aimed for 150 species by July 1st in the Tri-cities: Coquitlam, Port Coquitlam, and Port Moody (with nearby Belcarra thrown in, because I live there). On June 18th it was down to the wire: I was at 149 and running out of species. I still needed a dipper and I was tired of dipping out on them along the Coquitlam River. I knew of a good potential stream north of Minnekhada Park that runs into the Pitt River, because I’ve done Christmas Counts there. Unfortunately, it’s off limits to the public. However, I was able to accompany a Metro Parks biologist who was banding hummingbirds there. We arrived at 4 am, and as the darkness gave way begrudgingly to something approximating dawn, I staked out the river in the pouring rain. No dipper. 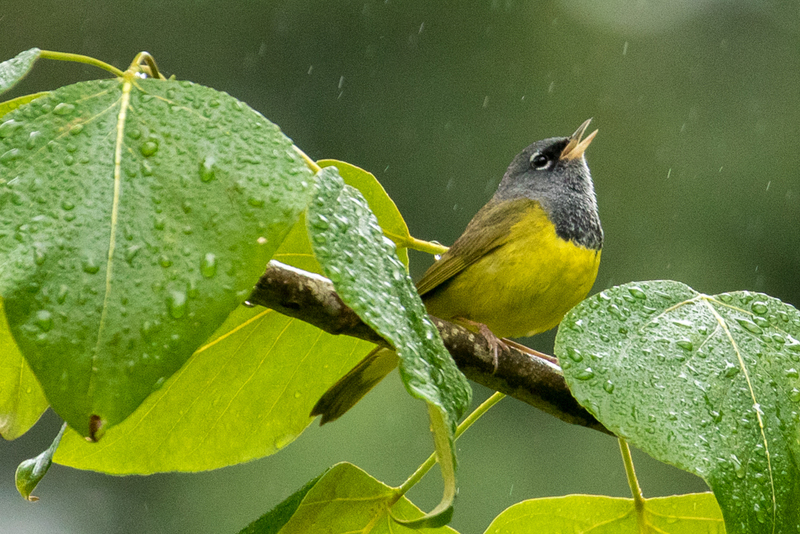 I got bored, and did a circuit of the area, which is when I encountered this warbler, singing in the rain as it played hide and seek in a cottonwood. I had no idea any of my photos would be any good, but I love how this one turned out. As for the dipper? It was waiting for me on the creek when I returned. TICK! 150 species, mission accomplished. This bird was at Colony Farm in Coquitlam, one of my local haunts. When it buzzed me, I bent backwards into a position I didn’t think was possible, and rattled off a bunch of shots, hoping for the best. On the day I took this photo I was more interested in birding than photography, as usual. 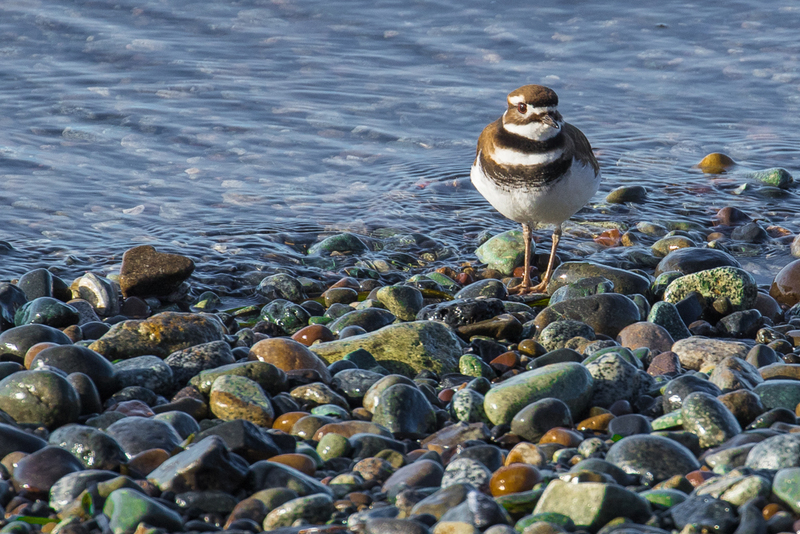 In February 2017, as I walked along the promenade at White Rock beside the railroad, I saw this bird and went for a few shots. I was totally focused on the bird at the time, but then I downloaded the photos and saw the stones. That’s what did it for me – they were far more interesting than the bird! Since I always shoot raw, the photos had very little colour, but when I brought the colours back, I realized that they were the story, in support of the bird. I first went to DeBoville Slough a few years ago. I was indulging another passion – running. I run a lot, on trails. Especially up mountains. But I digress. I didn’t see much on my first run there, and didn’t really see why this place was special. Hilary Maguire and Dave Mountenay knew, but I didn’t. Eventually, I returned for proper birding, rather than run-by birding, and fell in love with the place. The Pitt River, the mountains, the approach to Minnekhada Park…I dunno, somehow it works for me. 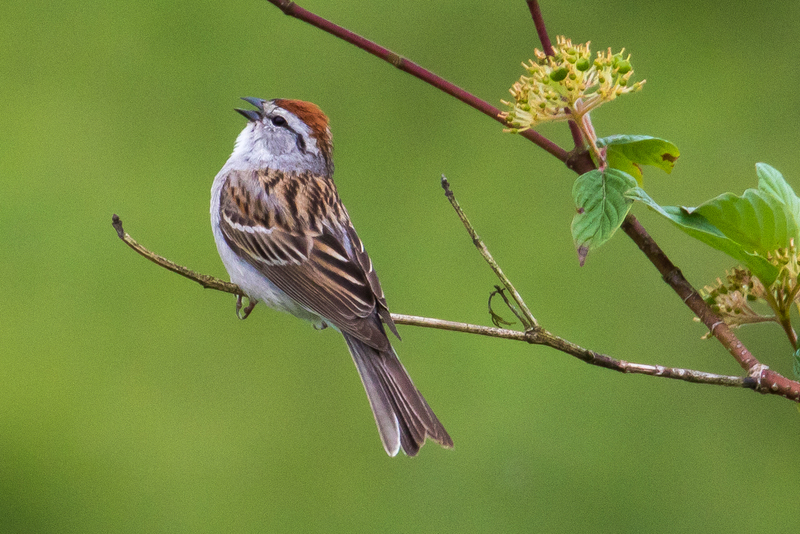 When I started seeing Chipping Sparrows there in the summer, that species was considered rare in Greater Vancouver. It still is, but I contend that the DeBoville Slough area probably has the highest density of breeding birds in the region. 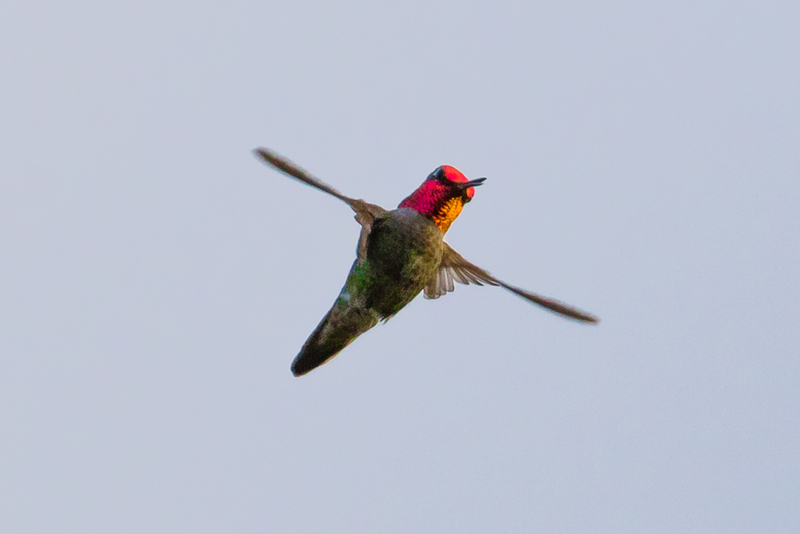 We typically see about 6 singing males every year from DeBoville to the Pitt River and then along Oliver Road. I took this shot with my Canon Powershot Camera. It’s another example of the power of overcast days. Oh, and Chipping Sparrows and I have a history. They were the subject of my first peer-reviewed scientific paper, based on a study I did as an undergraduate student while working as a naturalist in Algonquin Park, in 1977. OK, two things. First, I’m not that old! I was a teenager! Second, I’m not that old. Did I already say that? This was crazy. 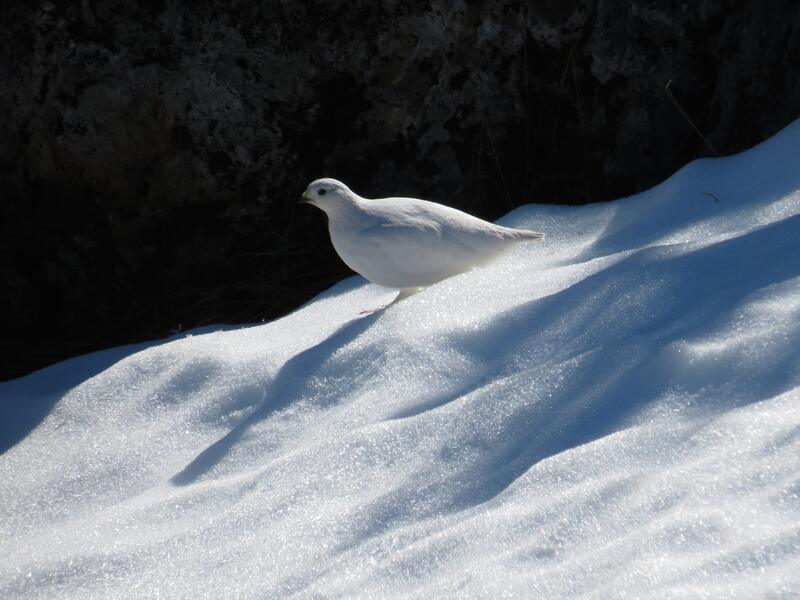 Ilya Povalyaev somehow decided that with light snow in the winter of 2015, there was a chance to hike to the top of Mount Seymour, with hopes of seeing a White-tailed Ptarmigan. Yeah, right! But a bunch of us bought into it, and hiked up the mountain on a beautiful February day in 2015, to indulge Ilya’s fantasies in support of his efforts at a Big Year in Metro Vancouver. At the top, we ran into a couple of Aussies who said they’d just seen a white dove. A white dove. Hmmm… We pushed on, and YES! A bird flew off like a rocket that could only have been a ptarmigan! We tracked it down and I took this shot across a gully as the bird ignored us while pretending to be a snow drift.